There are certain (and few) movements in watchmaking that truly define a brand. Seiko’s Spring Drive is one of them. 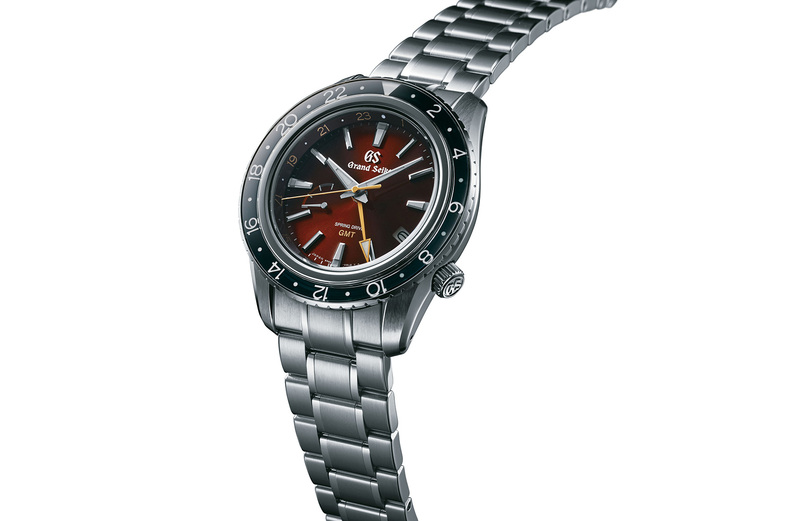 Unveiled by the Japanese manufacturer in 1999, it was four years later – after the inclusion of an improved automatic winding system and longer power-reserve – that the smooth sweeping calibre was adopted into the higher-end Grand Seiko catalogue, laying the foundation for the GS brand that we know and love today. Two years later, they paired the precision of Spring Drive with the functionality of a second hour hand, adding a GMT and dubbing it the 9R66. The exact calibre inside this latest addition to the Grand Seiko Sport Collection, a limited-edition version of the ever-popular SBGE201, the Spring Drive GMT SBGE245. Made not just for travelling overseas but on seas as well, the 44mm wide by 14.7mm thick stainless-steel case is water-resistant to 200 metres. And built tough, with its crown safely set into its case at 4 o’clock – minimising knocks and damage – as well as an enhanced shock resistance, and that very special Spring Drive movement that’s also been adjusted to withstand a greater range of changes in temperature. As with regular versions of the sporty Spring Drive GMT, the calibre 9R66 maintains an average accuracy of ±15 seconds per month and keeps track of its 3-day power-reserve with a dial-side indicator between 8 and 9 o’clock. 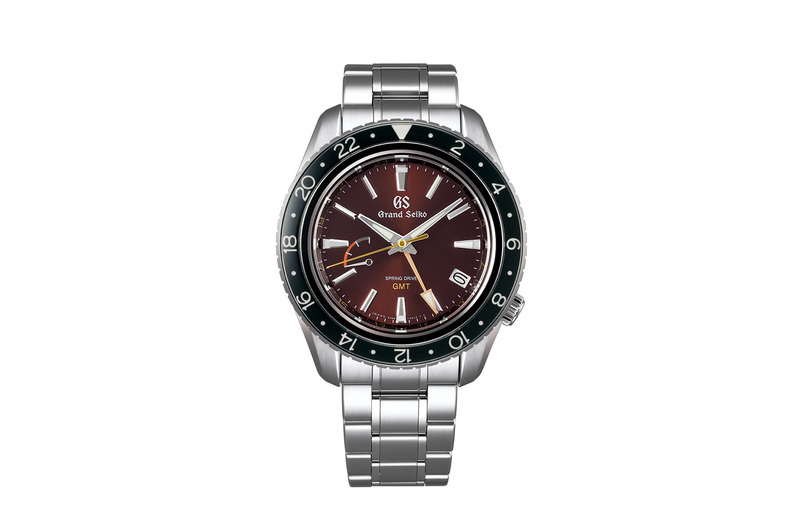 The most noticeable change is the replacing of the familiar matt-black backdrop of the regular version by a rich burgundy coloured dial with a subtle sunburst finish, which Grand Seiko say is inspired by the polished mahogany of a yacht’s decking. Gold accents on the seconds and GMT hands then add a striking contrast that is only enhanced by its black rotating bezel and its distinctive sapphire crystal construction. And when paired with the GMT hand and the 24-hour scale printed on the dial’s rehaut, the rotating bezel allows for the tracking of three separate time zones. 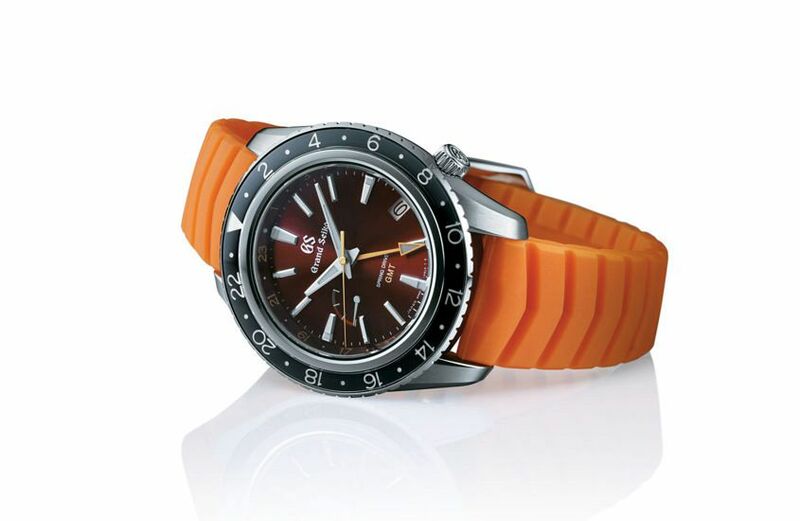 Presented on a stainless-steel bracelet, with a three-fold clasp and push button release; for a lightweight change, a reinforced silicon strap is also included. Putting the final eye-catching touch on this Spring Drive that’s fit for travel on or high above oceans.